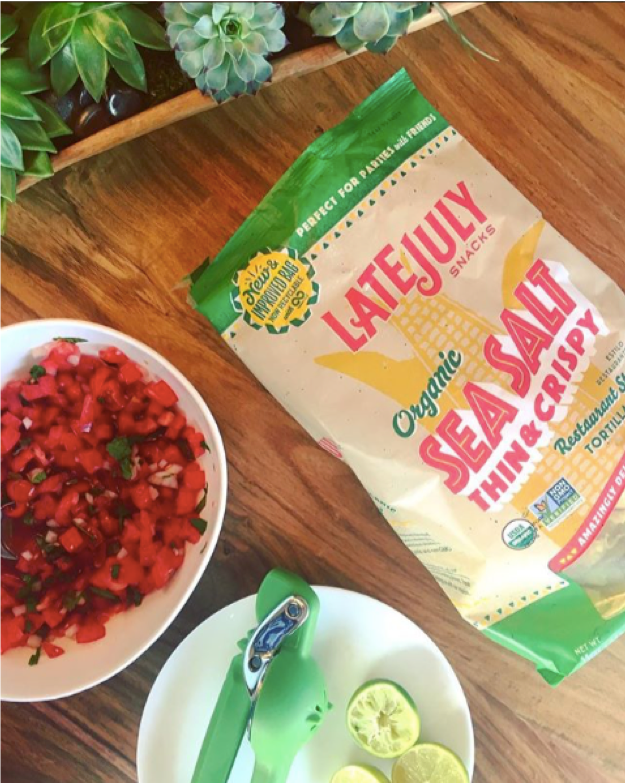 Nothing says summer like a fresh batch of homemade salsa and organic tortilla chips! Enjoy this easy and delicious recipe from the founder of @latejulyorganic, Nicole Bernard Dawes! Mix the tomatoes, onion, garlic, cilantro & jalapeño in a large bowl and stir well. sweet corn, or beans. Alternately, prepare a second version using mango as a base.